One of the highest trails in the park; it follows a generally north-south running ridgeline, affording great views in all directions. 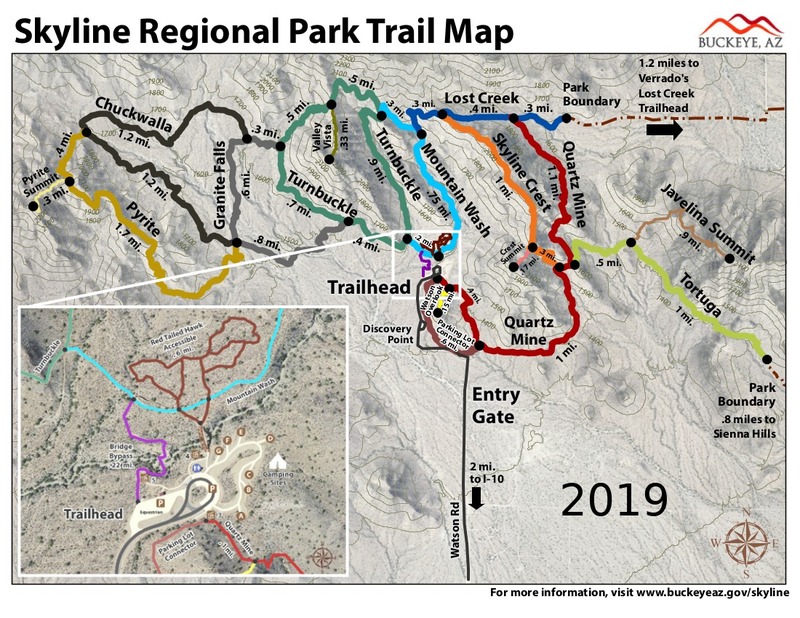 To get to the start of Skyline Crest Trail, you have to first take Quartz Mine Trail approx 1.55 miles (280' aeg) from the main parking lot. At the signed junction, you will turn left to begin Skyline Crest. The trail quickly begins climbing up several switchbacks for the first third of a mile. Most of the elevation gain on this trail is in this beginning section. Taking the short spur trail to Crest Summit is worth the minimal additional effort. Once you're up on the ridge, the trail snakes along, mostly just on the east side of the top of the ridge. Views of the rest of the White Tanks mountain range loom ahead, along with views of the Valley to the east. It is easy hiking at this point, and just after the halfway point, the trail begins to gradually descend to its northern terminus, ending at Lost Creek Trail. 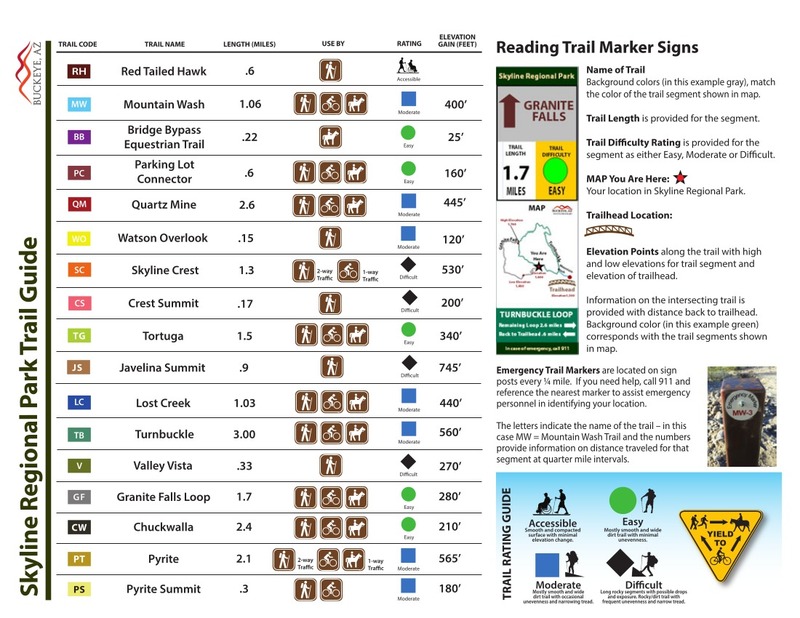 You are now at the northern side of the park and have options to turn left or right on Lost Creek (left is probably the most common) and making a loop hike of your choosing, or turning around and retracing your steps on Skyline Crest. From Phoenix, take I-10 west to Watson Rd. Exit, and go north on Watson. Take Watson north approx 2 miles into the park and the main parking area at the end of the road.